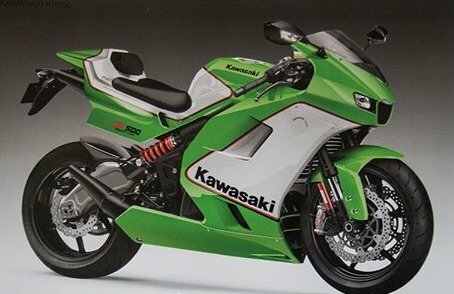 Re: 2017 KR500 announced ! Some UK rags try and pass off unlikely artists impressions as leaked factory info regarding a definite new model. Not this one, they're 100% fantasy, just dreaming out loud really. Check out Kar's website. 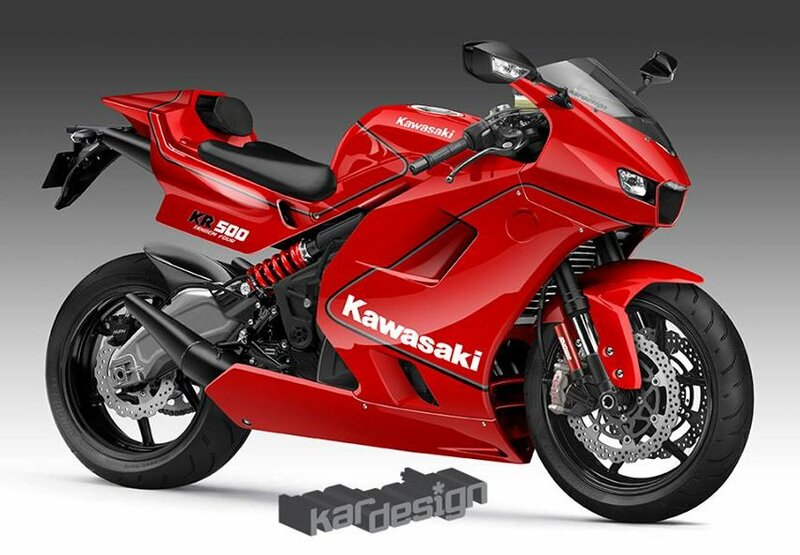 Ohhhhh lovely, if only....CMM said back in 2015 IDP Moto would actually manufacture a batch of Kars re-design of the retro rebooted RD350LC but no mention of that for quite some time...shame as im sure they would find buyers. Just been reading through the older posts (as there is nothing worth watching on TV). A twostroke square four would be at the top of the list still. 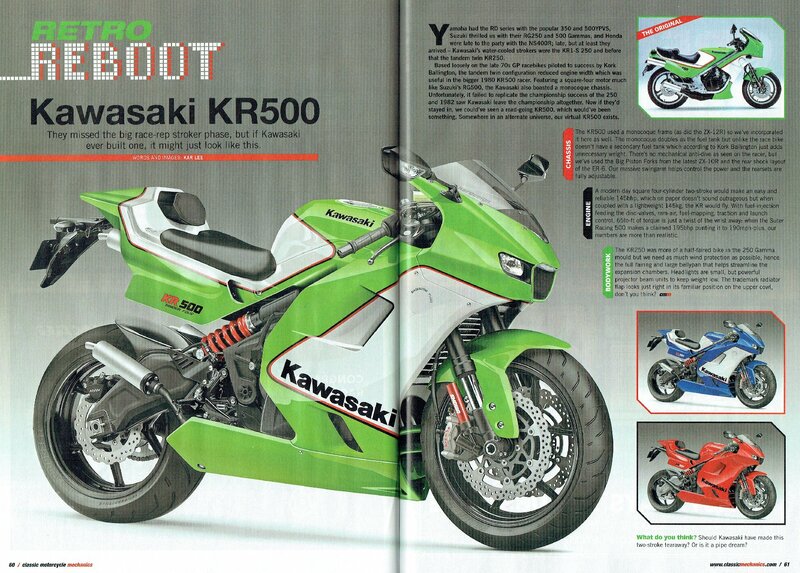 A two-stroke square four would mean a Suzuki RG500 whether in street or race version as a real KR500 is unobtanium. You could always buy the 1982 KR500 in the Tamiya 1:12 version of course! But if you want something really wicked, Bernie, how about a 1960s Suzuki 250 square four, official factory designations RZ63, RZ64 and RZ65, but better known as the "Whispering Death"? Or have a replica built from scratch.